I decided to combine these two in one post because they're both pretty short. First things first--you can find my latest short story in the March issue of Digital Dragon Magazine! 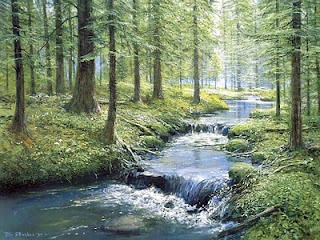 Check out "Jordan's River" and tell me what you think. And now, the nugget. This one is another fortune cookie. What can I say, we eat a lot of Chinese food :). "Success is a journey not a destination. Stop running." This really made me think. If success is a destination, you'd reach it and...then what? Of course, I want to reach my goal of having my book published. But I can't forget the journey. I've learned so much. I've put in a lot of hard work and am making many accomplishments along the way. I have something to look back on as well as forward to. Can't wait to read Jordan's River!!! Congrats! Enjoyed Jordan's River, Kat! You've made some great contributions to DDM. Congrats I enjoyed reading Jordan's River.